Talk about sucking the life out of an unlucky victim! 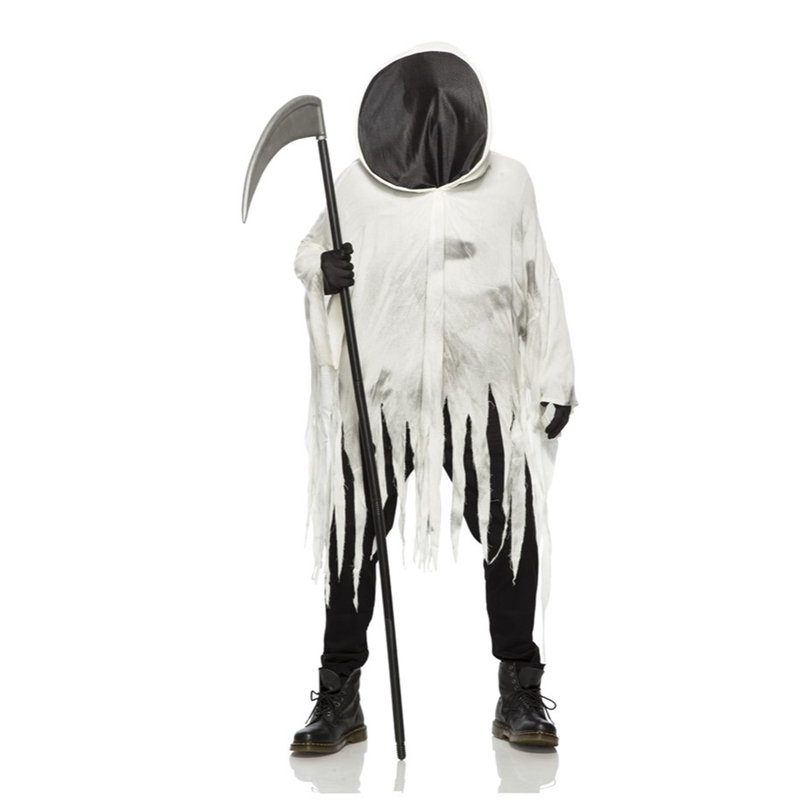 This Soul Sucker Oversized Robe Adult Mens Costume is a mischievous and scary, ghosts and ghouls-like soul sucker costume robe, long-sleeved in a light gray/tan color with tattered ends, complete with a hood, and a black mesh through which the wearer can see, to give the look of a faceless entity in the dark. Grim, creepy and mysterious.